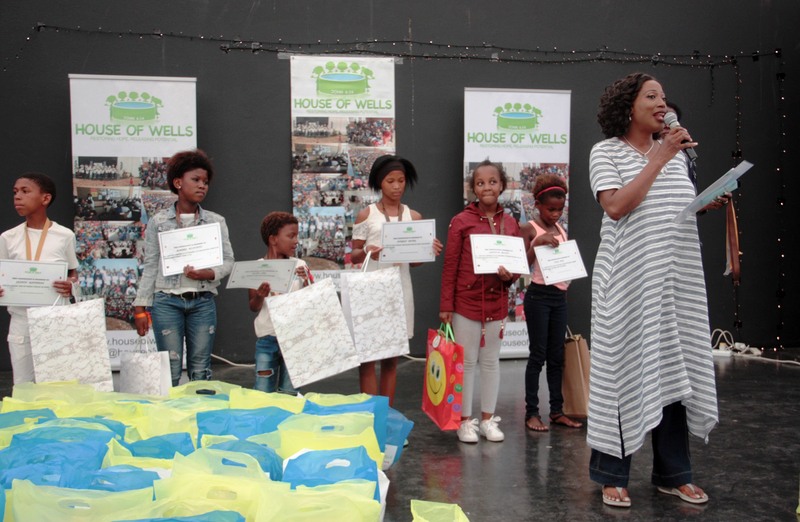 House of Wells (H.O.W), a Non-Profit Organisation registered in South Africa & the UK exists to restore hope and dignity, and release the potential, of children and youth particularly orphaned, abandoned and vulnerable children. We send this report with our hearts full of gratitude and praise to God for a challenging but exceptionally fruitful 2018! 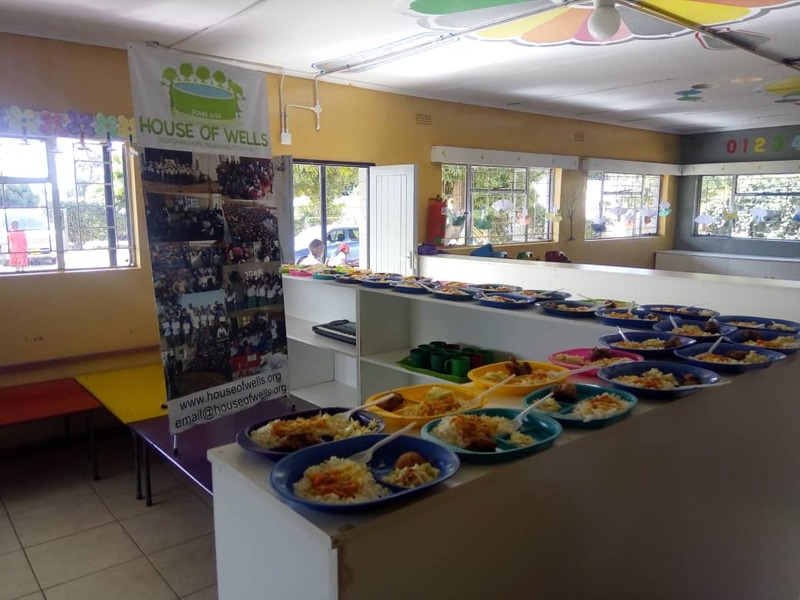 One key highlight of 2018 was the 10th Anniversary of the establishment of House of Wells in Port Elizabeth, South Africa, which we celebrated in every Centre with cakes and chocolates for the children. The journey has been tough (and remains to be), but the lives of numerous children across South Africa, Zimbabwe and Uganda that have been, and continue to be, changed through House of Wells is well worth it!! Our appreciation is firstly to God, but also to you our generous partners and to the amazing, God-sent Team that we have been blessed with. They are dedicated, anointed and passionate staff members who always give 110%. We are also blessed with a divine cohesion among our staff members that makes “Team House of Wells” a solidly united family. 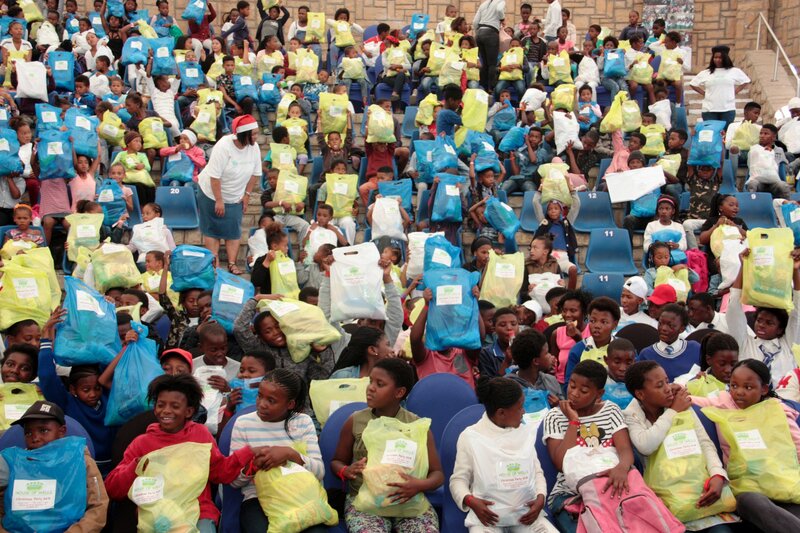 This is replicated throughout all the cities in which we are based in South Africa, Zimbabwe and Uganda. Glory to God alone. 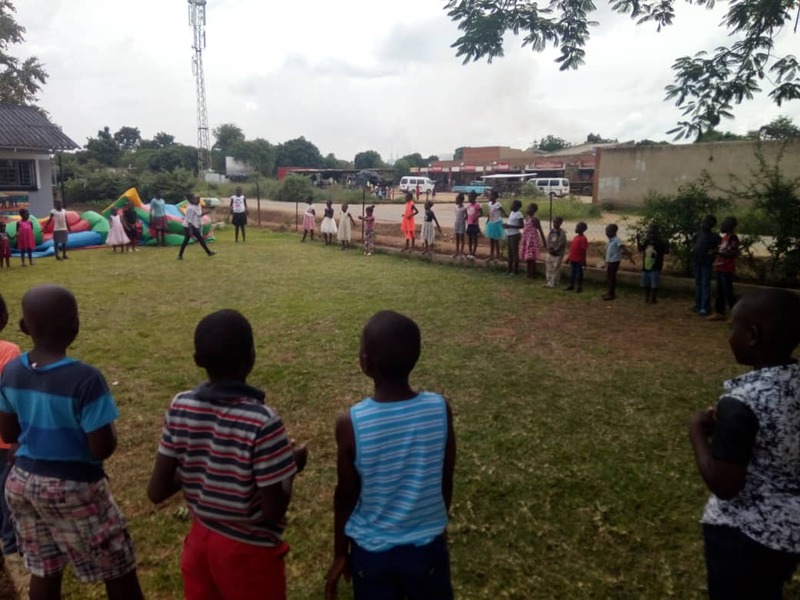 2018 CHILDREN’S CHRISTMAS PARTY – The preparation/fundraising for the annual H.O.W Christmas food packs is always a hectic time of the year for us, but the 2018 fundraising proved to be the toughest so far. 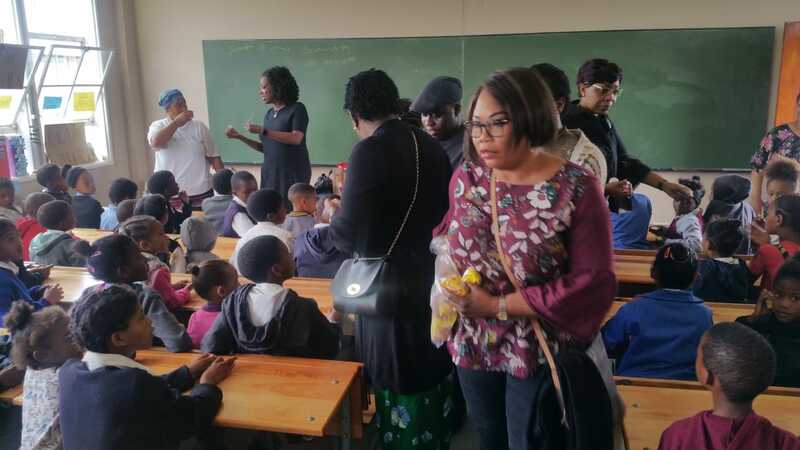 We had to raise funds for nearly 2000 food packs for the children, plus all the other ancillary expenses, and four weeks to the deadline we had only raised a quarter of the total funds needed. Our faith was stretched, our prayer life improved and most importantly our confidence in the faithfulness of the One who called us, was strengthened. In the end, all the funds needed were provided miraculously, as we saw God touch the hearts of so many individuals, companies and churches around the world. We are eternally grateful to everyone, for bringing a smile to 2000 children and their families in the nations of South Africa, Zimbabwe and Uganda. 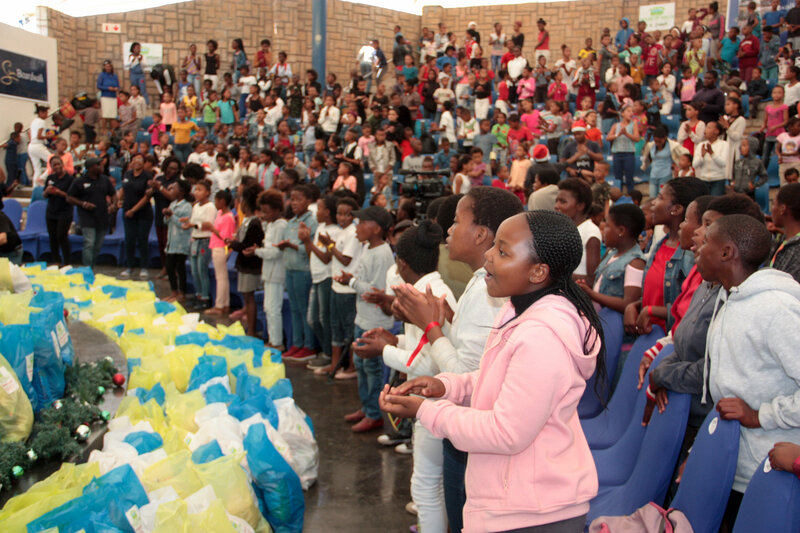 Over the last 11 years, we have seen how the food hampers that the children take home, have been a blessing to them and their families.At the party, every child/teenager received a Christmas lunch and a food hamper to take home. The children were very grateful for the food hampers, with many parents writing to us, and some even meeting us in person, to express their gratitude. 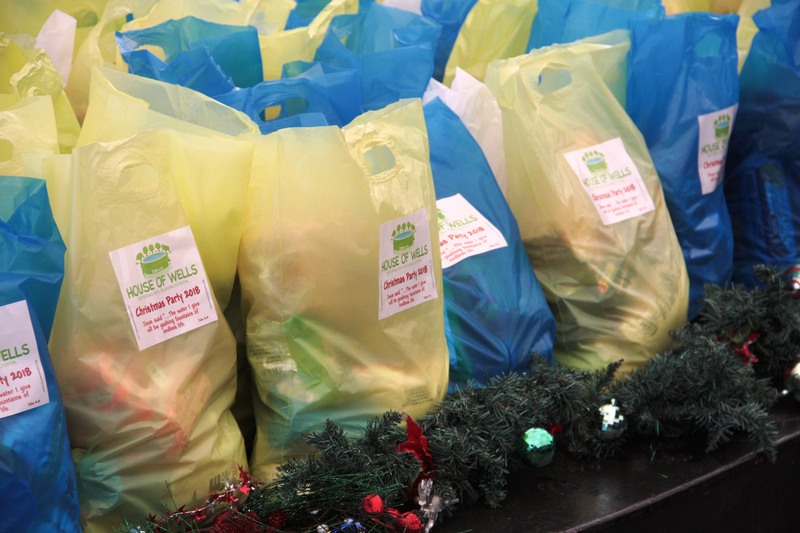 In Uganda, a parent, full of emotion, expressed her gratitude and said “House of Wells is one of a kind, I do not know of a charity in Lusaze where children are fully-fed and also given a big bag of food to take home for Christmas”. The love of God has been shared, lives have been touched, potentials have been released and memories have been written on the children’s hearts. What a privilege to be an extension of God’s hands to reach these children with the love of Christ! God’s love was demonstrated in action, to those who may have been forgotten by society. We are grateful to all our partners -every individual, Church and organisation-that donated towards these food hampers, and the Christmas lunch. 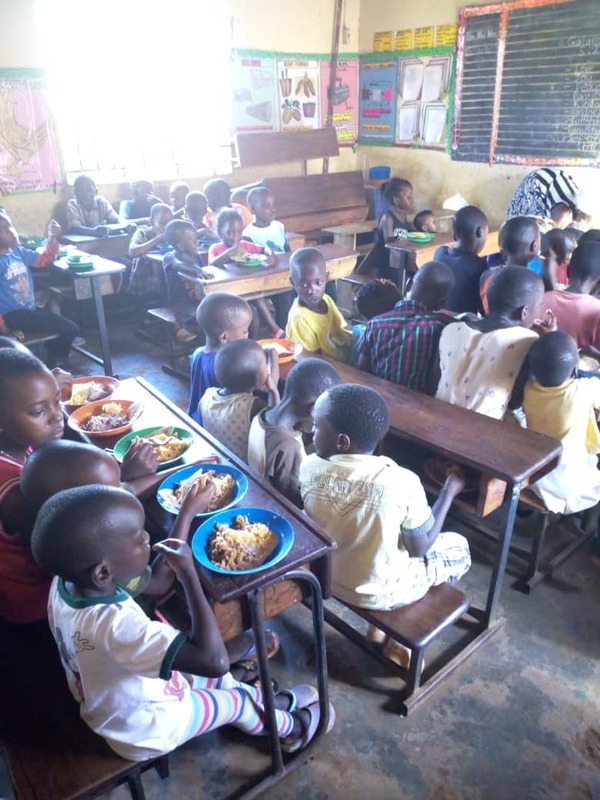 May God bless and replenish you mightily.On the part of the children however, the excitement began way back in September when they started practising their songs and dances for the talent show. It is the time of year that they get to display their talent and creativity, so they put their all into it. 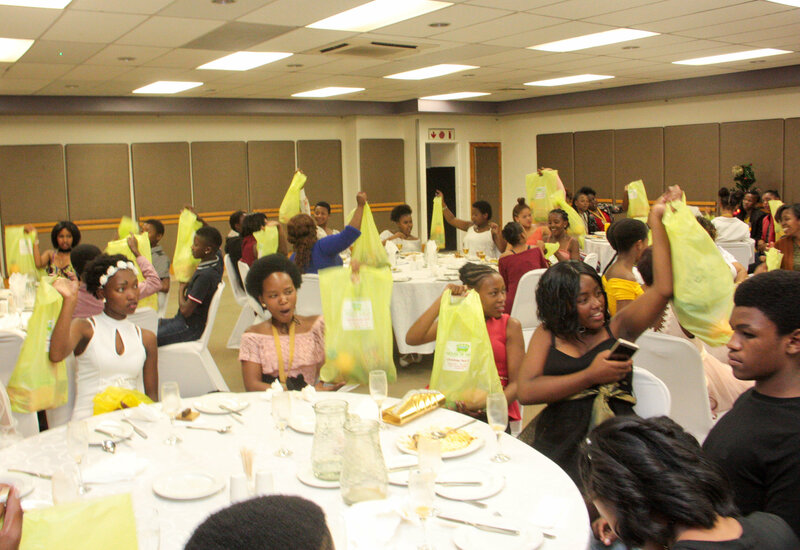 In Port Elizabeth, our Teenagers were celebrated in true VIP style. There were speeches, presentations and also talent show with a panel of judges deciding the winners. The talent and creativity on display were breathtaking. At the Under 13s party, each centre presented songs, drama and dances. 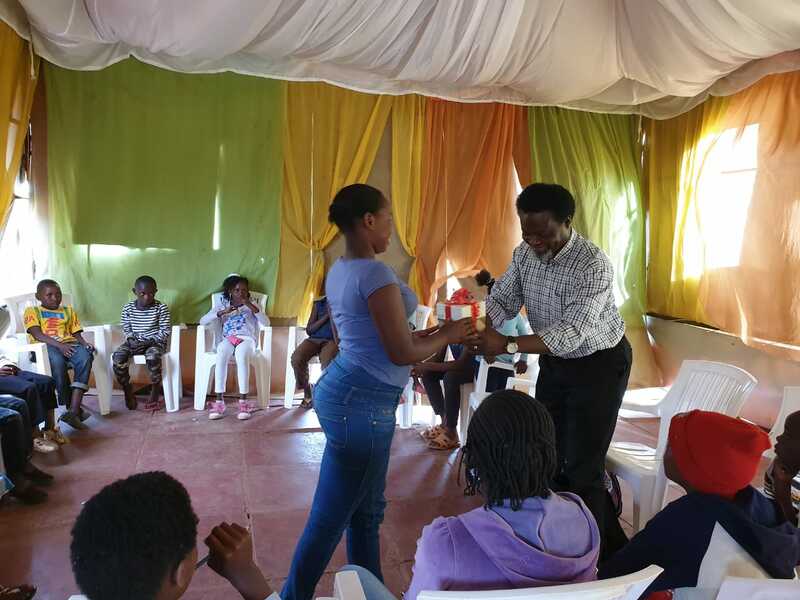 HOUSE OF WELLS KENYA LAUNCHED – After being led by God to start House of Wells in Nairobi, Kenya, Pastor Richard went to visit in September/October 2018. 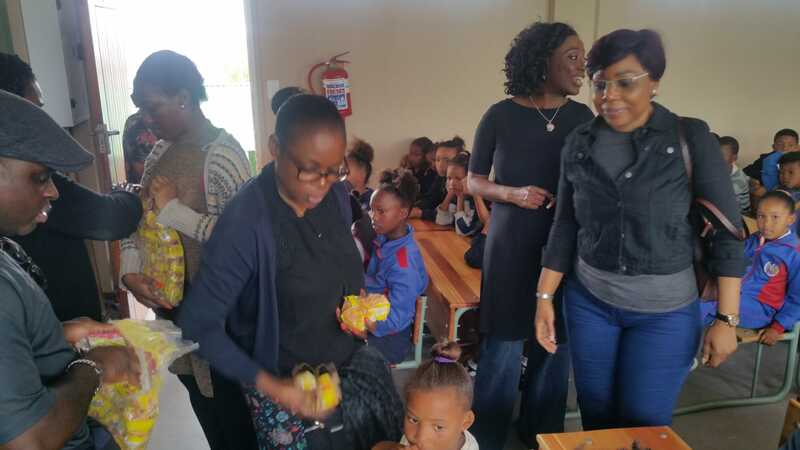 Our partner church, Harvest Christian Church in South Africa came on board to help us with the start-up cost and expenses for the first few months as we launched House of Wells in Kenya. 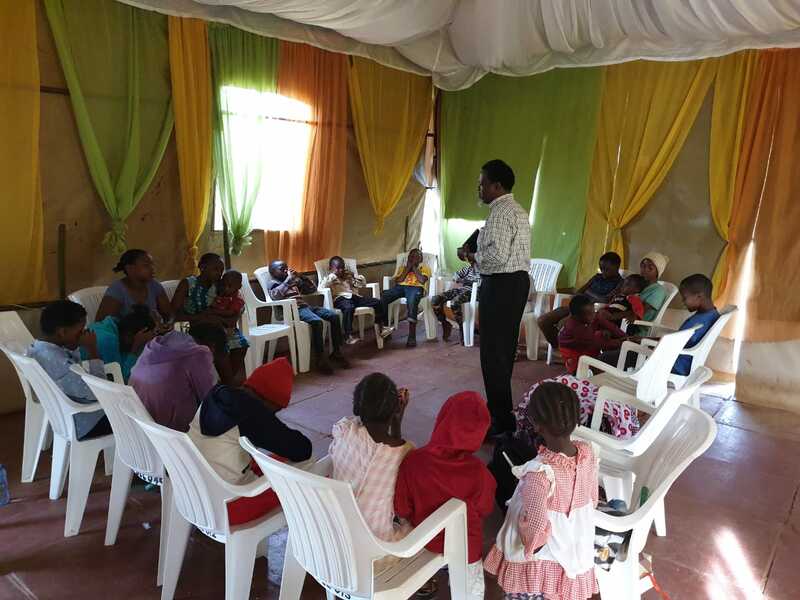 Beacon Life Church, Kenya, pastored by Dennis and Lucy Mwesigwa, offered us immense support in many ways, one being, allowing us the use of their facilities as our venue in the Langata neighbourhood of Nairobi to meet with the children from the community. 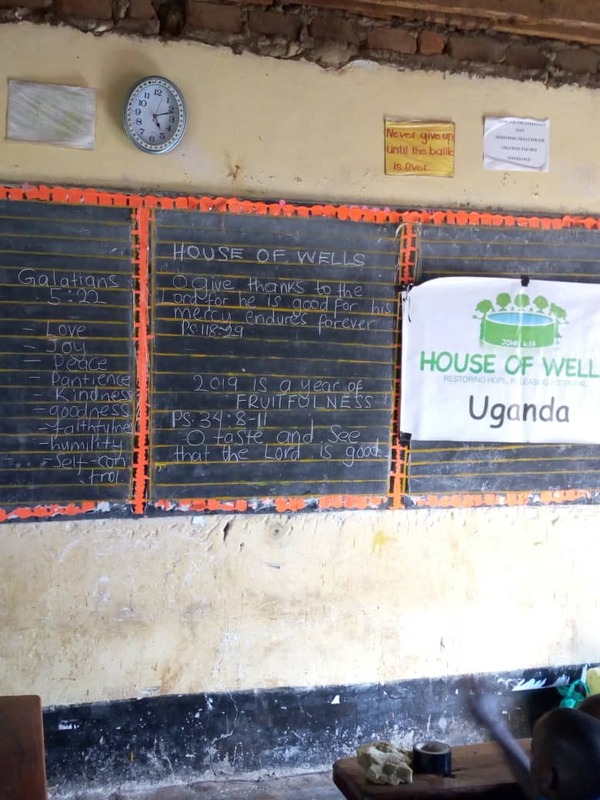 During the December school holidays, House of Wells started to gather children twice a week in Langata. We would like to express our utmost gratitude to the leadership of Harvest Church and Beacon Life Church, together with the individuals (who would prefer to remain anonymous) who were used by God to finance the Kenya trip. We pray that the book of the records in Heaven will be summoned by God in due course so that you may receive your reward on earth; you will also not miss the most amazing rewards which await you on the day you see Him. We ask all our partners to join us to pray that the resources required to run this new mission station will be released from the treasury of Heaven so that God’s will for H.O.W Kenya will be done and His kingdom be established in Jesus’ name. 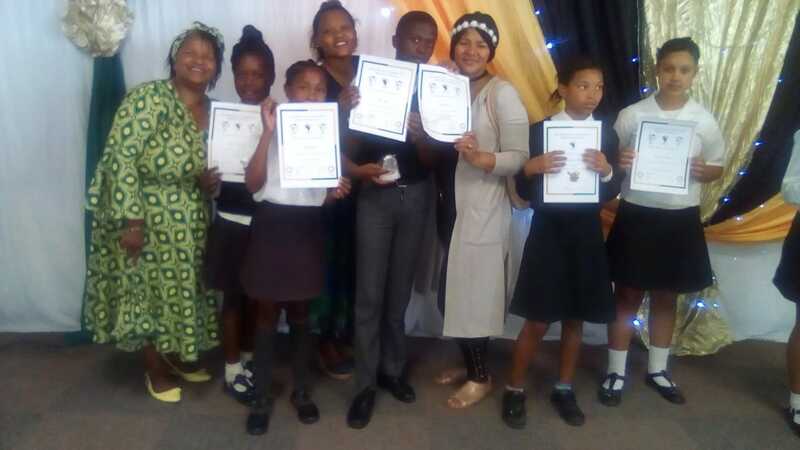 H.O.W CHILDREN RECEIVED ACADEMIC EXCELLENCE AWARDS – Traditionally, Academic Award Ceremonies in South African schools take place in October.As has been the trend for a number of years now, October 2018 saw House of Wells children make up the majority of award recipients for academic excellence in their Schools! 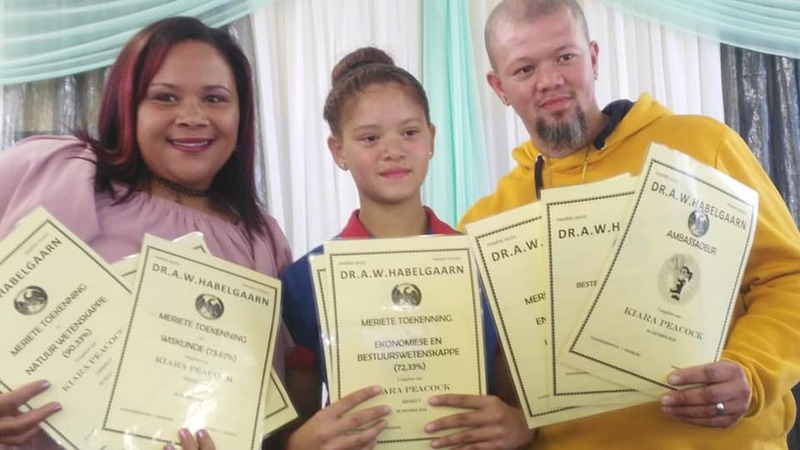 Kiara Peacock, who attends H.O.W in Habelgaarn, was “TOP GRADE 7 STUDENT” in her School, receiving 8 awards (see pic below with her parents). We are very proud of all of them and thankful to God. 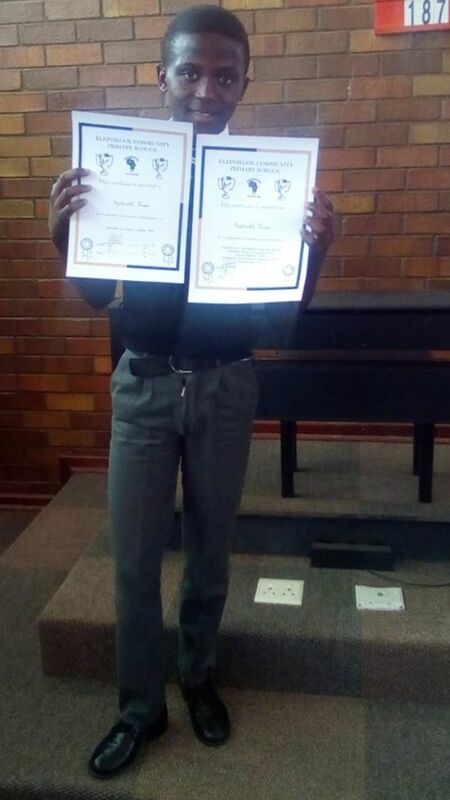 FOUR H.O.W TEENAGERS GAIN UNIVERSITY ADMISSION – We are indeed very grateful to God for our Teenagers in Port Elizabeth who passed their Matric (end of High School) exams in December 2018. Four of them have excellent results which qualify them for admission to a Bachelor’s degree or Diploma. 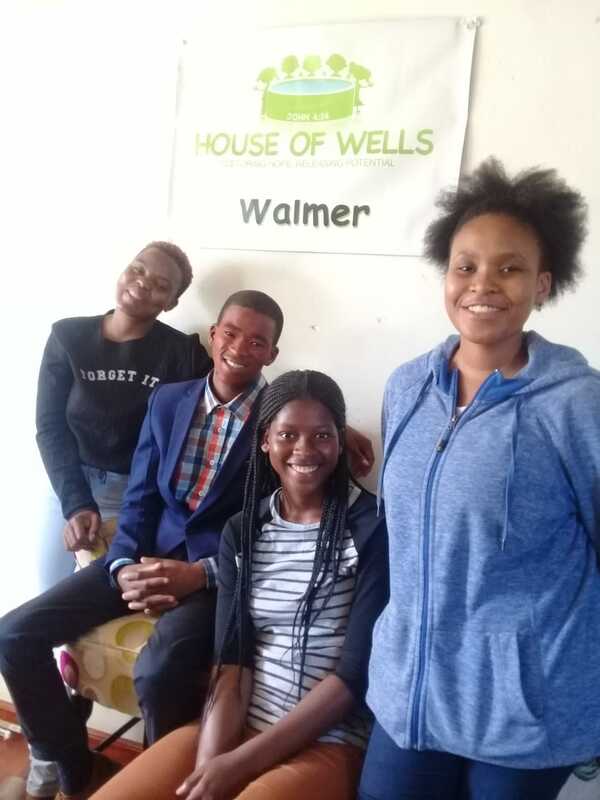 Through the generous donations of our partners, House of Wells has supported all these teenagers with supplementary education at our Tuition Centre since 2017. 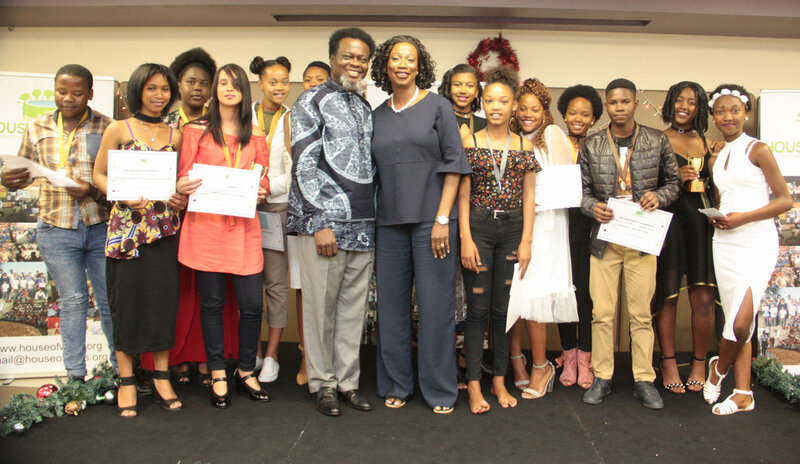 We praise God that all our efforts in supporting these teenagers in their academics have come to fruition. 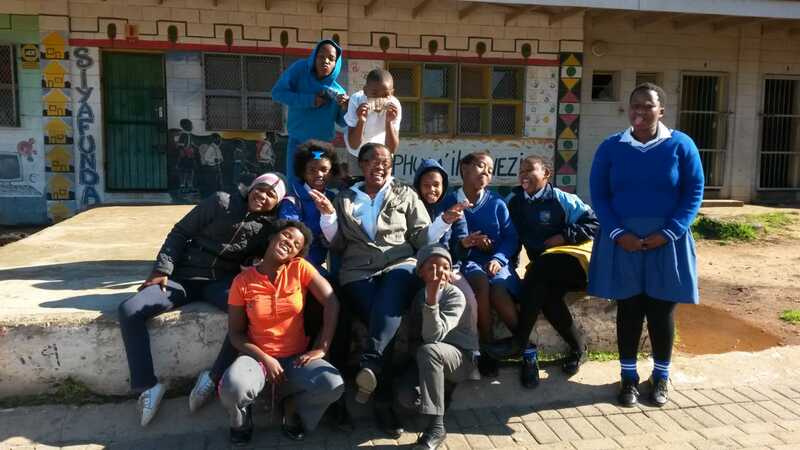 We would like to support many more of our children at H.O.W in their academics, funds permitting. House of Wells is not only about salvation of souls for heaven, we are also impacting the quality of their lives and future here on earth. 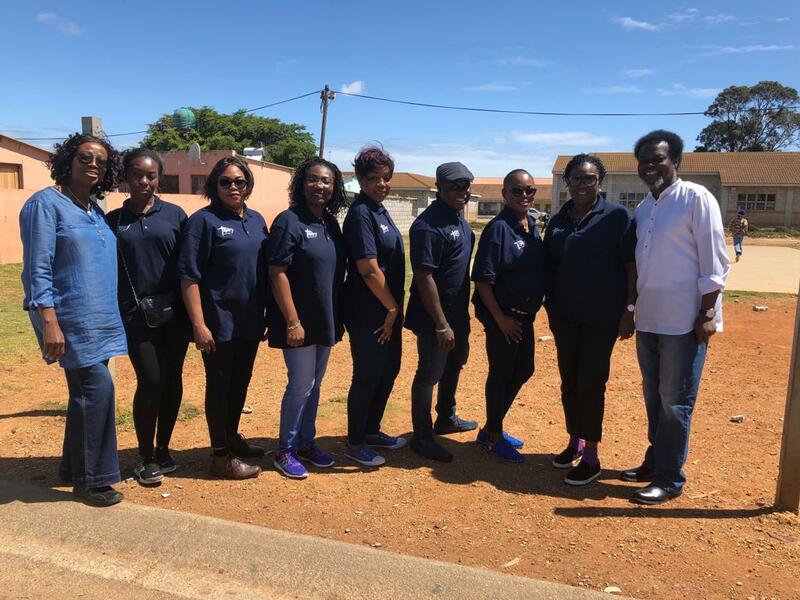 TRINITY CHAPEL’S VISIT – In November, we had the privilege of welcoming seven members from Trinity Chapel, London (U.K.) mission’s team, who came to serve at H.O.W Port Elizabeth for about 10 days. They put their hands to the plough and served in all our Centres, and they also ministered to the children. They were touched by the joy of the children in spite of their circumstances. They also visited the homes of a few children, and were moved with compassion at their living conditions. They told us that although moved by the children’s situations, they saw the hope of Christ reflecting in their attitude. 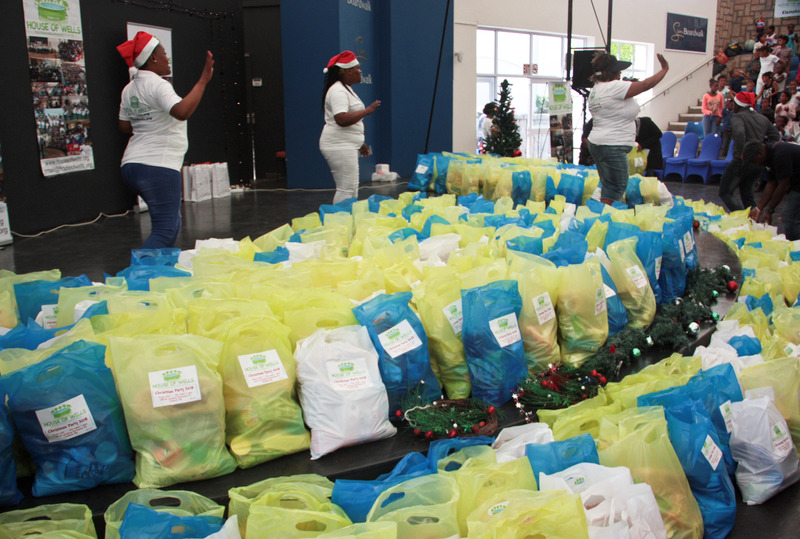 The TC team were very much involved with the packing of almost 1200 Christmas food hampers for the children in Port Elizabeth, the preparation of the children’s meals (Christmas lunch) and they also helped to serve the children at the party. **This quarter, our lessons were on the Fruit of the Spirit and there were various testimonies of how the children were tangibly impacted by the teachings. 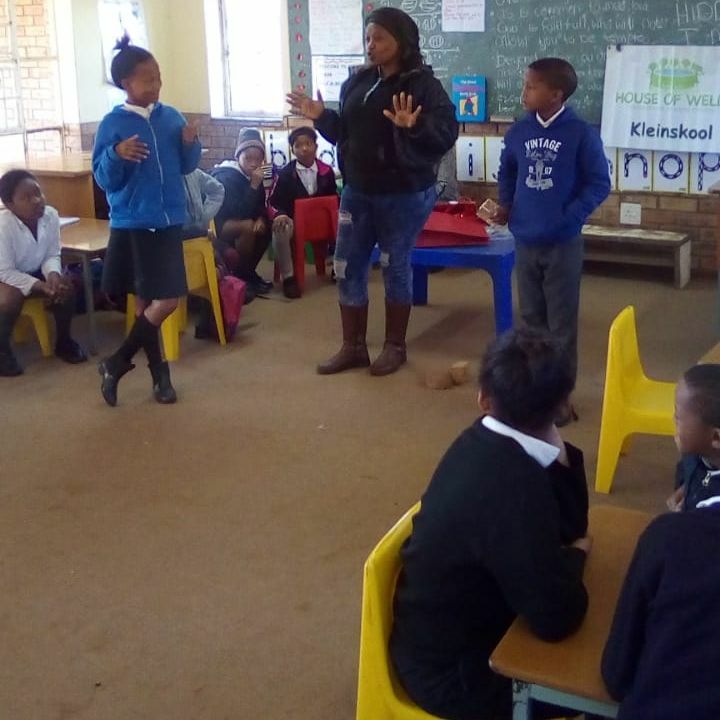 **One afternoon at the School we use in Walmer Township, a girl was taken ill on the School field during a sports activity organised by the School. She had fainted and was shaking uncontrollably, so someone came to the classroom that we use for H.O.W lessons to call our leaders. One of our leaders started praying immediately over the child while the other leader went to call some teachers for help. While the teachers were trying to arrange for paramedics (which took some time), the two H.O.W leaders intensified prayer, speaking life over the girl. To the glory of God, the girl came round, felt better and her severely high temperature returned to more normal levels. Amazingly, the paramedics failed to turn up! The school management thanked us for our assistance. God used H.O.W staff as a channel of healing that day, we were the first and only “responders” on site that day. 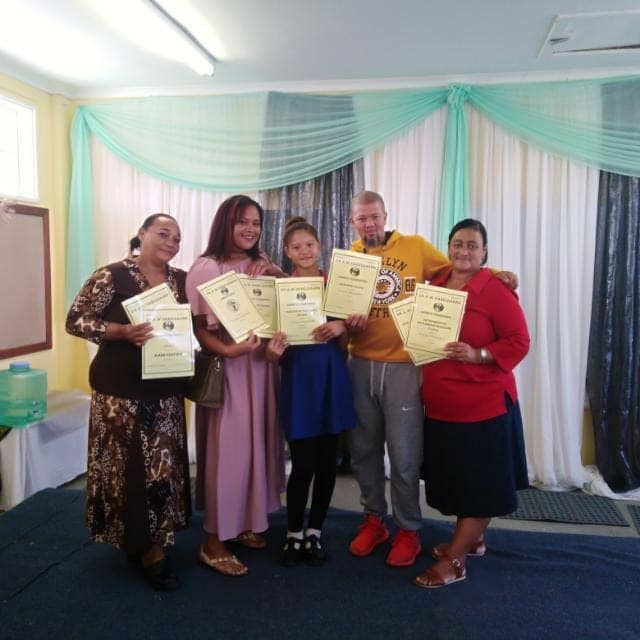 **A 7–year-old girl, who attends one of our Centres in Kwazakhele with her four siblings, was abandoned by her mother who left PE for Cape Town with her boyfriend, and left all five children in a stranger’s house. After a few days going from house to house, the children were taken in by a granny in the community. House of Wells have visited these kids and the granny, and have since been supporting the children with food and medical assistance. The 7-year-old girl and her twin brother have had illnesses that require H.O.W to arrange for them to be taken to hospital a few times and pay for their hospital bills. 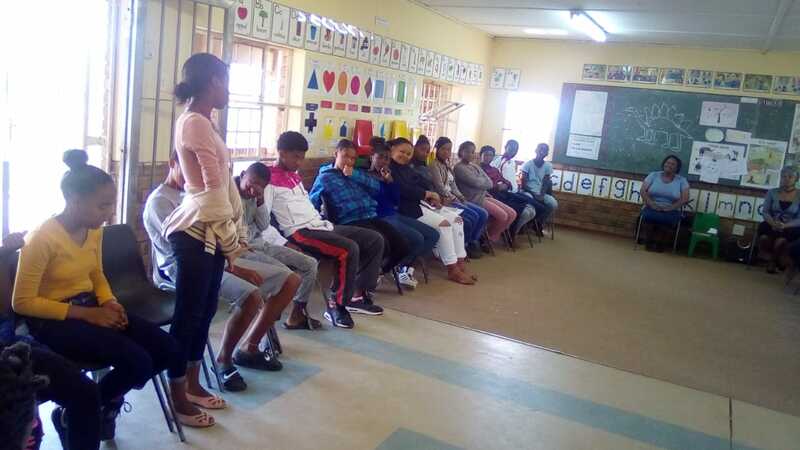 **We continue to see commitment and dedication from the kids that attend H.O.W, not only has there been a huge increase in attendance and punctuality, but the children are also very cheerful when they come and they always attend with their bibles. HOW UGANDA – We thank God for His mighty hand which is apparent in the lives of our children in the Lusaze community in Kampala. House of Wells has been a blessing spiritually and physically in their lives. Amazing testimonies include: Four of our children of Congolese origin who moved to Australia after being granted citizenship there and children excelling in their academics. 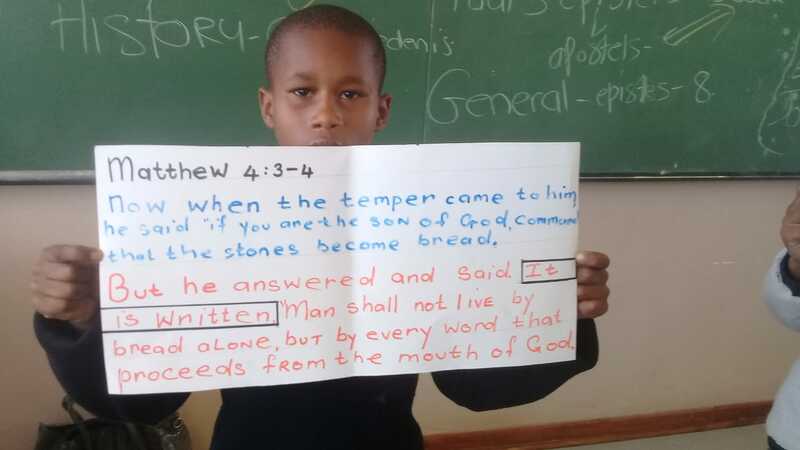 An unusual request was heard when the children were encouraged to ask God for what they want. Dawn, the 6 year old daughter of our Leader in Uganda was overheard asking God to give her “Godly thoughts instead of human thoughts”. Children who are 10 years and older are being taught the power of prayer and to trust God for healing and other miracles. As a result, we are seeing amazing things happen in their lives. Indeed a generation of prayer champions is emerging in Lusaze. 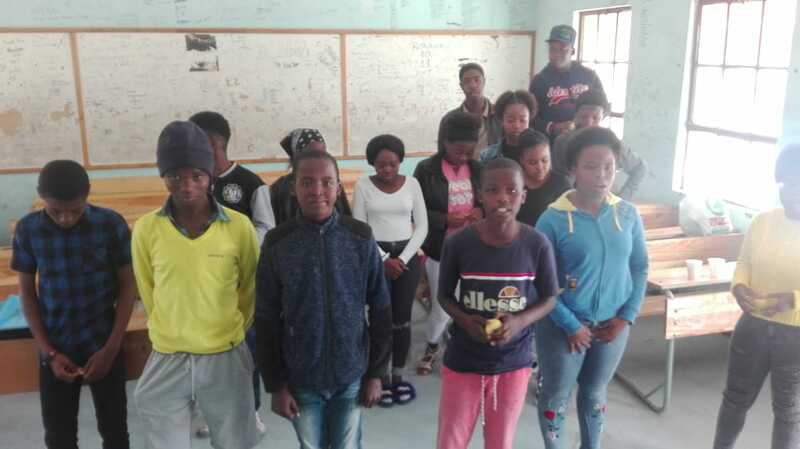 HOW CAPE TOWN – The tuition classes that we started in July at our Centre in Ivy Nyovane are already proving to be beneficial as the children at the Centre are showing tremendous academic improvement, particularly in Mathematics. A parent whose two children attend the Centre told us that her kids’ performance at School is improving. 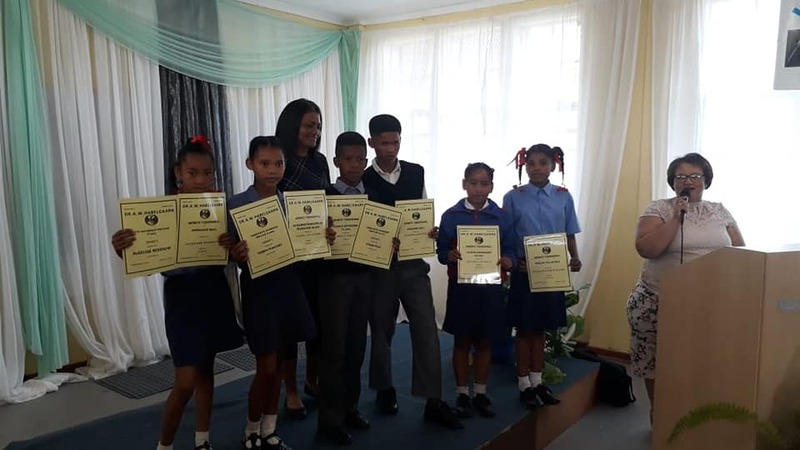 Similarly, at House of Wells Centre in John Pama, most of the grade 4s/5spupils who started the tuition classes with us in July passed their end of year exams in the subjects that we tutored them in. In another School where we run House of Wells programmes, a teacher told us that she had noticed a great improvement in the behaviour of certain boys who used to cause trouble at School, she said that House of Wells has been a great help. HOW ZIM – We began the month of October with prayers for all of our children who were sitting their end of the year examinations. 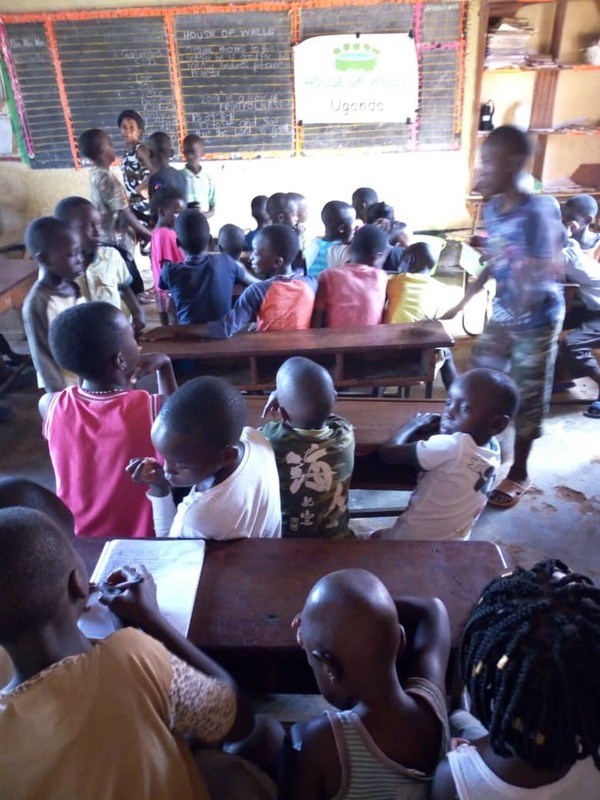 A number of H.O.W children in primary schools started their examinations in the second week of October and we held some revision classes for them at our Centre. We are so happy with the results they obtained as the majority of them made it into the Top Ten for performance in their Schools. We ran revision classes in Maths, English and Science for our teenagers too, ahead of their O Level exams. Eight teenagers sat the O Level exams and five had their A Level final exams. We are praying for very good results. Testimony – One of our regular students had some family issues and ran away from home. Her mother came to us for help,in tears, as the whole family desperately searched for her. We prayed and contacted the Headmaster of the High School she attends. Within few hours we received information regarding her whereabouts. We picked her up and took her home to her family. We are so thankful to God that she was found safely and quickly. 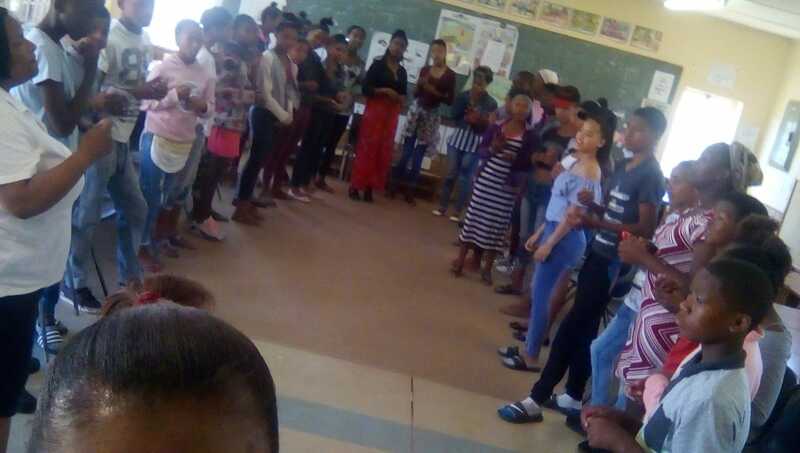 TEENS – We received various praise reports from House of Wells teenagers at the end of our lessons on the Fruit of The Spirit. Some had said there has been improvement in their prayer lives and that they were now more consistent in prayer. Another teenager said he was more confident than before about his faith in God and about speaking to others about Christ. Some said they now understood that people would see Christ in them if they exhibited the Fruit of the Spirit, and therefore it is a good way to evangelise. A girl testified that she has seen God’s grace in her life since she began attending House Of Wells three years ago. She said her favourite scripture which she speaks over herself daily is “they overcome him by the blood of the lamb and by the word of their testimony – Rev 12:11”. It is a great privilege for H.O.W to be part of transformation of lives and communities. We praise God for the amazing work HE is doing in the lives of our Youth. QUARTERLY HOME VISITS – It is always a pleasure to check up on H.O.W kids at their homes, but it can be quite disheartening to see the condition the kids live in. Most families living in poverty in the townships often cannot afford food of sufficient quality or quantity to live a healthy life. Some of the homes that we visited had only one room, with more than 6 family members living there. Many parents are unemployed. 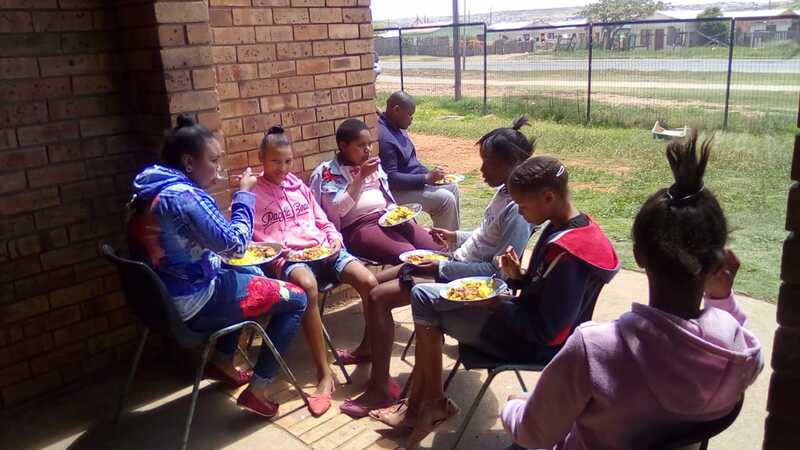 Township communities are faced with several social problems, including lack of access to basic services which adversely affect residents’ quality of life. As per our custom,we ministered and prayed in every home, according to the various needs that each family requested. The two major prayer requests were for employment& deliverance from alcoholism. Three family members gave their lives to Jesus in the home of an 8-year-old girl and all the families we visited told us how grateful they are to H.O.W for loving their children and providing them with food and school equipment. On behalf of our Trustees, Staff and the children at our Enrichment Centres, we would like to express our gratitude to every Individual, Organisation, Business and Church that partner with House of Wells to enable us to carry out all our activities as a ministry. We appreciate every individual/church that send donations for staff salaries; partners who send money specifically for bread and soup; for the purchase of school uniforms; groceries for families; partners who pay for extra tuition classes for our Teenagers; those paying for our flight tickets to and from the Mission stations – THANK YOU! 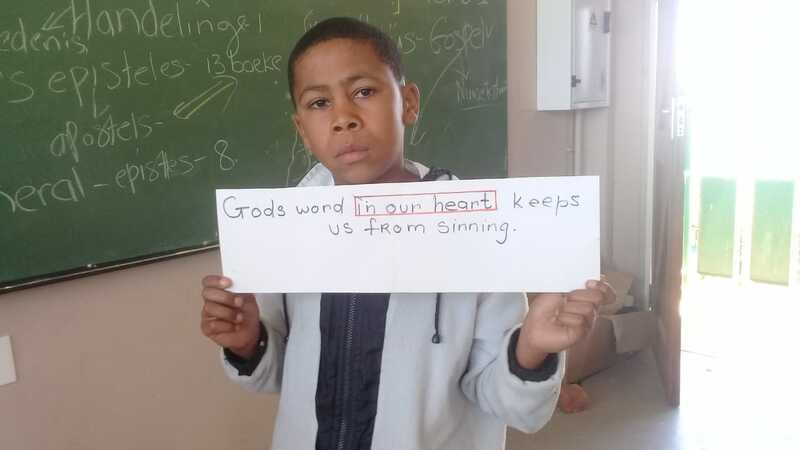 May heaven bless and record your sacrifices and seeds sown into the lives of these children, in Jesus’ powerful name. 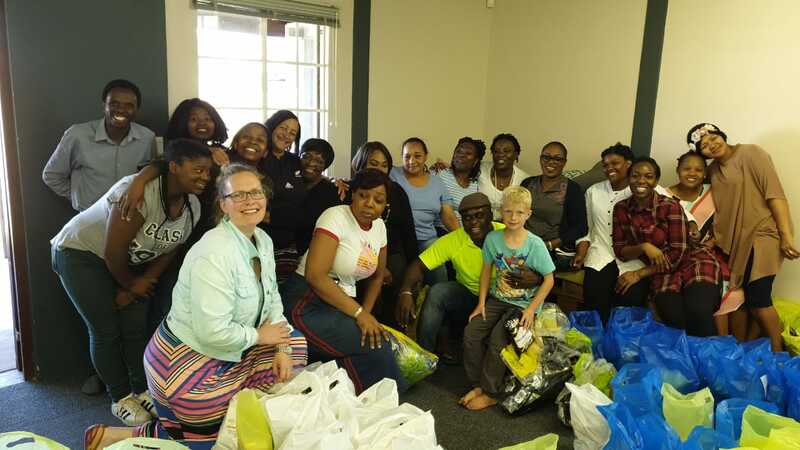 Churches partnering with HOUSE OF WELLS:– City Chapel London, The King’s Family Centre (TKFC) U.K, RCCG Living Water Parish (UK), Trinity Chapel (UK), The Liberty Church (UK), RCCG Bethel Parish and HARVEST Christian Church, Port Elizabeth – we are grateful for your assistance and support in various ways. 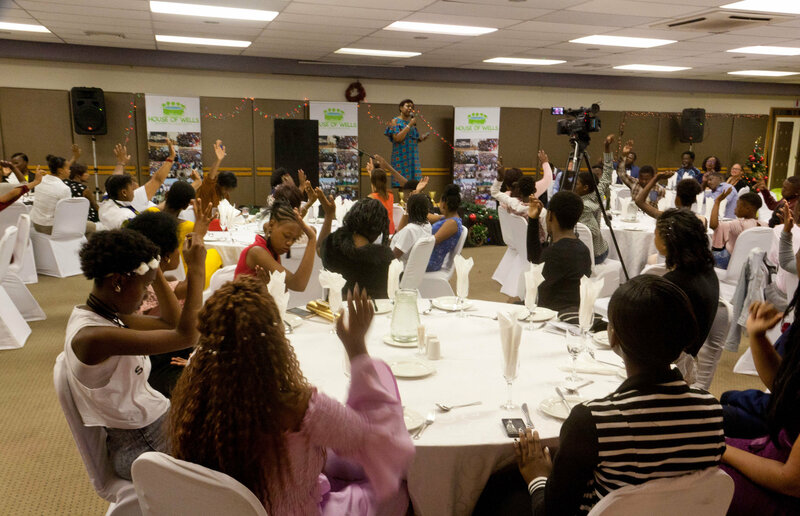 Organisations supporting HOUSE OF WELLS:– ShopFit Group (SA), Community Chest (SA), LPS Estates (UK), VITAE London, Ambience Consult LTD (UK), Systemxnet Limited (UK), Vision Excel Ltd (UK) and Panacom Ltd (UK) – thank you so much for your consistent financial support, may God continue to bless your businesses.